Earth HD Deluxe Edition is a live wallpaper that brings a beautiful, calm view of the planet on your Android devices’s home screen. The app is normally priced at $0.99 in the Play Store but it is available for free for a limited time period. Don’t miss it. Go ahead and download this $0.99 worth app for free on Google Play right now. 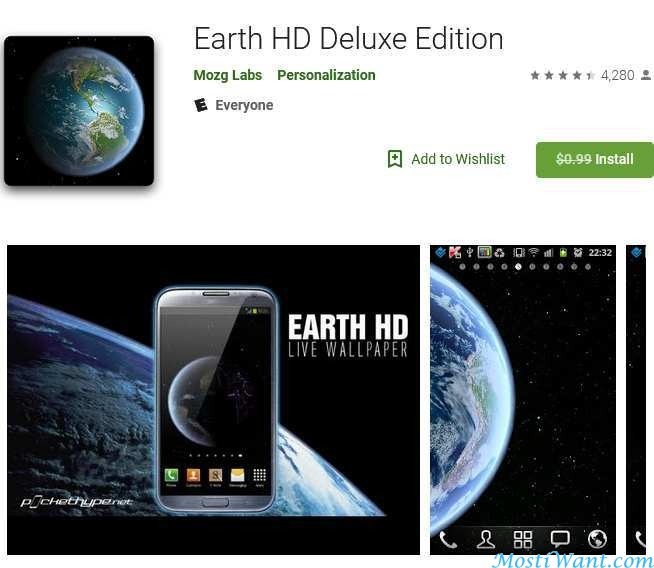 Earth HD Deluxe Edition currently has over 100 thousands downloads on the Google Play Store with a total rating of 4.4.